Our mission at Leaf & Grain is simple. Food can be tasty and filling, and still be really good for you. There's no reason to compromise. We offer food that is both good for you and satisfying—it doesn’t make our menu if it doesn’t meet that second standard. We want to make it easier for people to put the right things in their body, without feeling like they’re having to make a sacrifice. That's our mission. We’ve put a lot of thinking and hard work into our catering offering, and we really hope you like it. We know your team will enjoy the food (we did a ton of product testing), but we’ve focused just as much on making things easy on your end. Send us an email at catering@eatLG.com, and let us make your next meeting a success. See our printable menu above. Send us an email at catering@eatLG.com to place an order or ask for a recommendation. (2) apply through our online portal (link below). Let us know which days you're available to work. We're closed nights and weekends. How do you plan on getting to work? Thank you for your interest in Leaf & Grain. We are reviewing your application, and will get back to you shortly with next steps of the application process! Opportunity for rapid advancement- we are growing fast and want you to grow with us! Positive attitude! This is by far the most important thing. We currently have two available positions: Team Member and Food Prep. To learn more about the job responsibilities and requirements, click the links below! Leaf & Grain celebrating International Women’s Day! 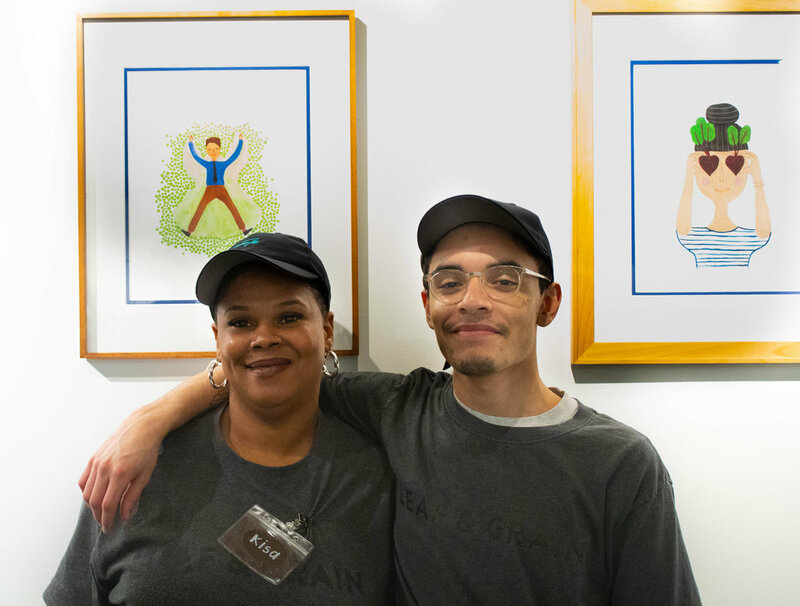 At Leaf & Grain, we prioritize a positive work culture because we care about our employees. When you join the L&G Team, we are investing in you as a person and as a Team Member. For us, that means helping you grow professionally in terms of your technical skill set, as well as your advancement within the company. 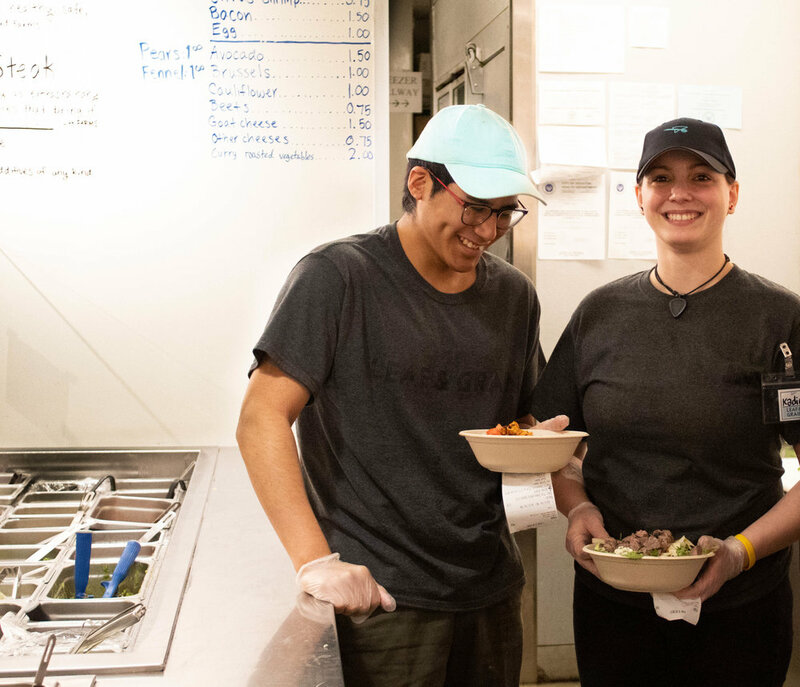 When Leaf & Grain opened, we had a mission to provide more healthy eating options for the Downtown Houston area, but more importantly, to make an impact on customers’ lives and help them through the week. 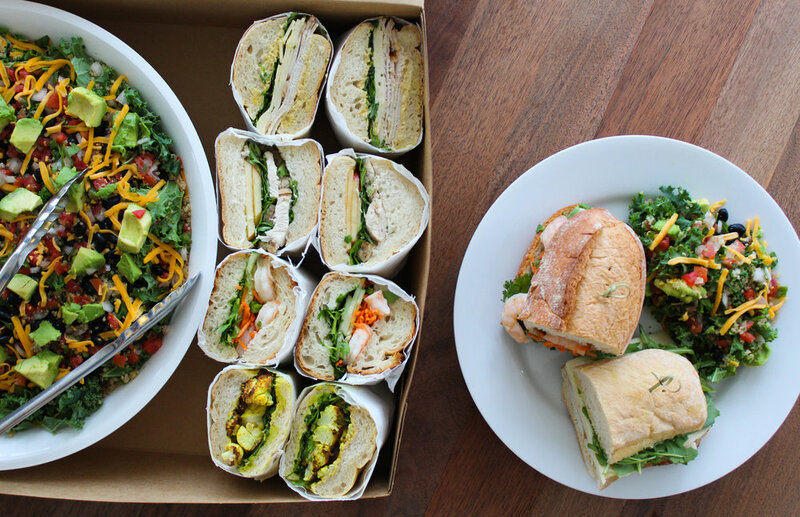 Our goal is to provide hearty, healthy lunches, and make people laugh along the way. After all, the work week can be tough, and sometimes a simple “Hello, how are you?” can change the path of someone’s day. We work together. Everyone at Leaf & Grain, along with the managers and owners, works side by side on prep, making salads, etc. We have a culture founded on teamwork, loyalty, and trust. To say it simply, we’ve got your back if you’ve got ours! SO, if you like to make salads (or want to learn!) and make people smile, come and join the L&G Team. We’re excited to meet you! We’re looking forward to meeting you! Have more questions? Reach out to team@eatLG.com for answers.